Bionic Briana: Jumping the gun maybe? It may have been a little premature but.... I planted my cedar planters this weekend. I couldn't help it!! It was such a nice day and I figure it's halfway thru April... surely anything I plant will survive by now, right? Well let's hope so. 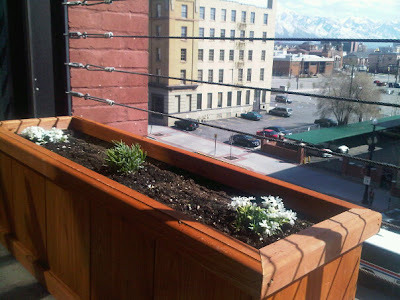 I bought these awesome planters at Home Depot for our balcony of our loft. They're approx. 3 feet wide by 1 foot deep by 1 foot tall and I bought two of them to line the part of our balcony that is facing the street. Because our balcony gets a lot of sun and is oftentimes windy I needed plants that are sun-loving and drought-hardy. 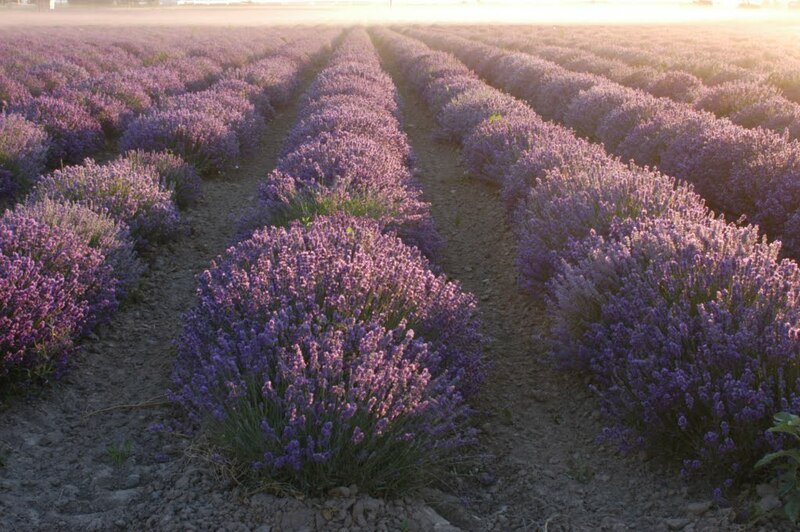 Hooray that lavender is one of these plants! When I was planning my bouquet for our wedding my initial thought was that I would carry an all-lavender bouquet but then I realized the peak season for lavender blooming is June and July.... and we got married in October. I was more than pleased with my choice of burnt orange calla lilies in the end but I've always had a love for the beautiful lavender plant. And then I woke up to wind.... not just a light breeze but like 'wind advisory' winds and the advisory was to span 12 hours! I watched my little plants blowing in the wind... they looked like they were shivering, even though it was over 60 degrees outside. I checked to make sure the soil was still moist and that their little roots weren't drying out... and then I was helpless to what the wind would do to them. The containers are SUPER heavy because they have 2 inches of rocks topped with 2 huge bags of soil so it wasn't an option to move them inside. I'm sure they'll be fine.... but I sure was worried about them ALL day today! Rain is in store for tomorrow. I hope that means no more wind. I'm not sure my plants (or me, for that matter) can handle it! You got married in August? I was there, and I'm pretty sure it was October. Am I loosing it? August? October? They're both sorta sound the same! That's what I get for writing a blog at 2 a.m. Whoops! Hey, I realized a week after the fact that it was our 6 month anniversary a few weeks ago! Let me just say... I'm not good with dates!